Our lanterns are truly hand made. 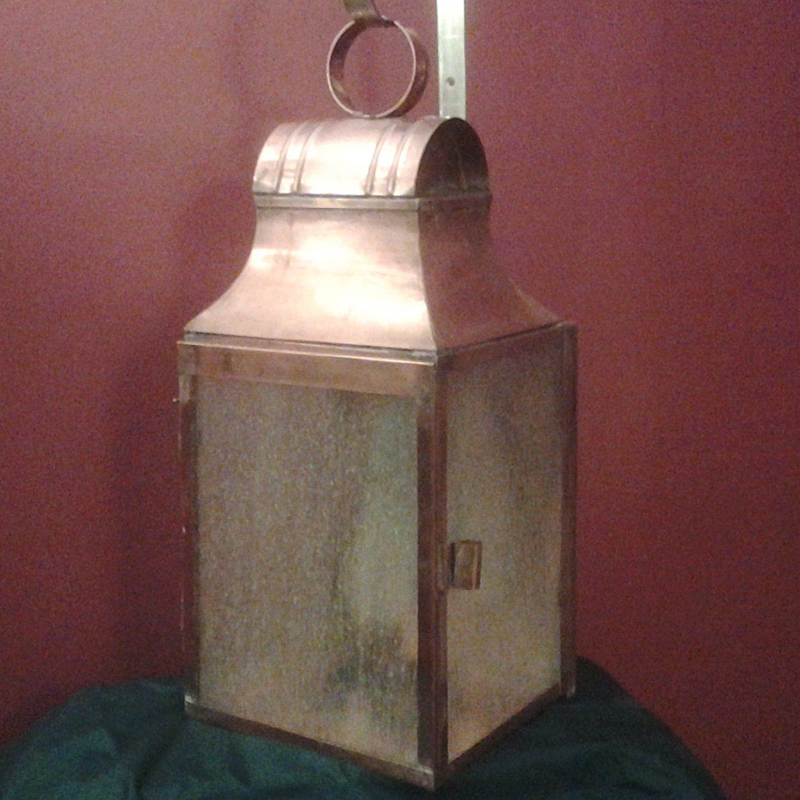 Starting with a sheet of copper, using hand powered machines, we cut, form, and assemble the pieces to make your lantern. Since each lantern is built to order we can easily customize the lantern to your individual taste. 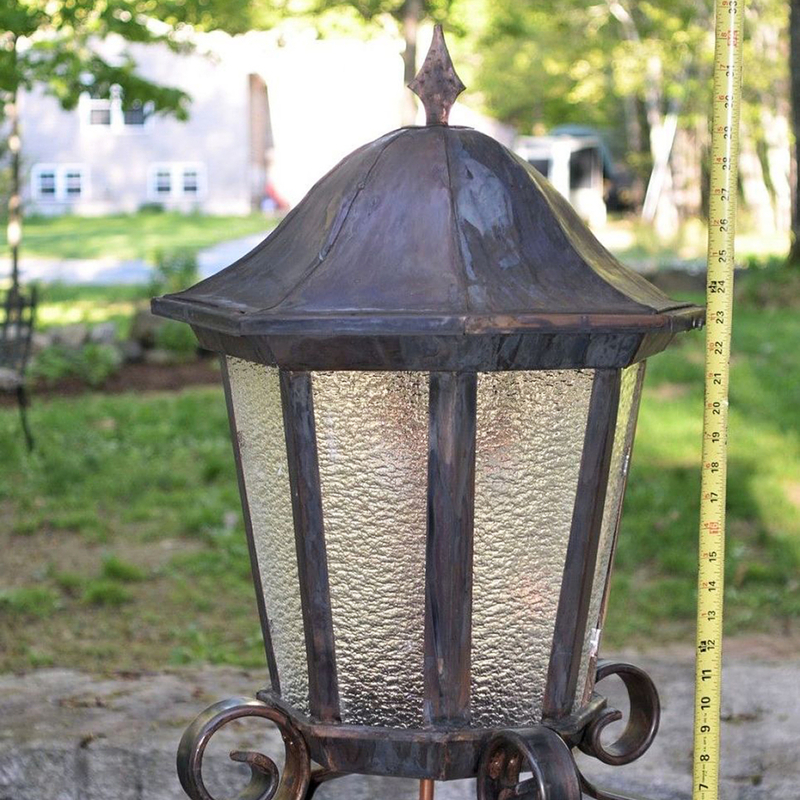 Our many options allow you to own a customized lantern at a reasonable cost. 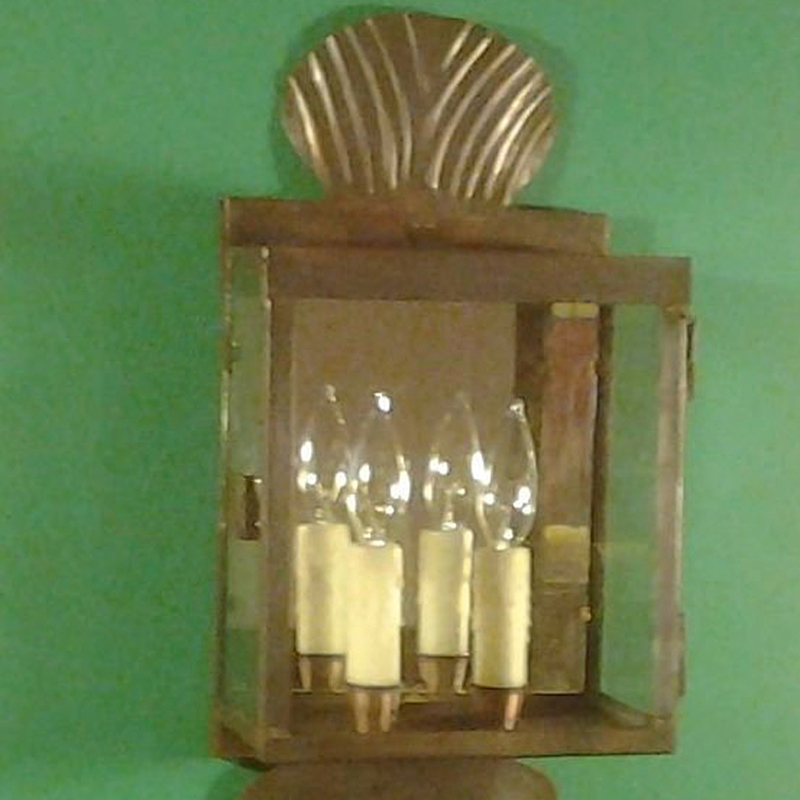 We can also work with you to design and build a custom lantern just for you. 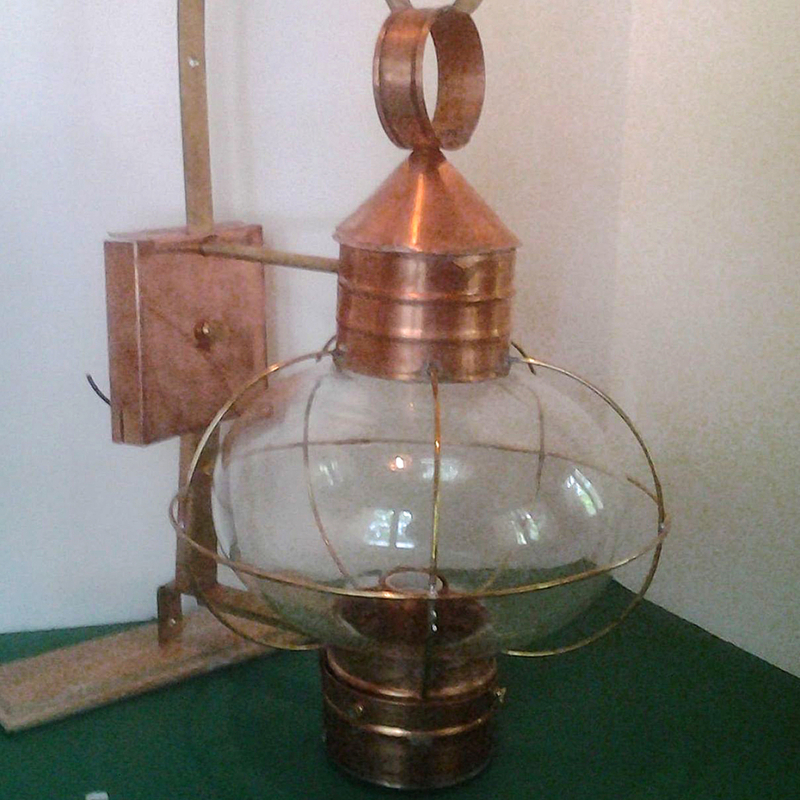 All our lanterns are constructed using solid copper, solid brass and aluminum. As we use no plated materials corrosion is minimized. All electrical components are UL listed, from wire to porcelain sockets. While these are designed to be used outdoors they also look and work fine for interior use.